One look through Instagram and it becomes obvious that many of the most popular accounts have the best photos. And while it's easy to take and upload photos from your smartphone, the quality is sometimes lacking. If you've owned a DSLR for a while, chances are it is not wi-fi enabled. The easiest method of adding wireless functionality is to get a WiFi enabled SD card. These cards provide image storage just like regular SD cards but have wireless abilities. Most of them work very similarly and are easy to use: you download an app on your iOS or Android device, insert the card and take photos with your camera, and then use the app to transfer the photos to your device. The most popular card in this space is the Eye-fi Mobi card which works with a wide range of digital cameras. You can check to see if it is compatible with your camera here. 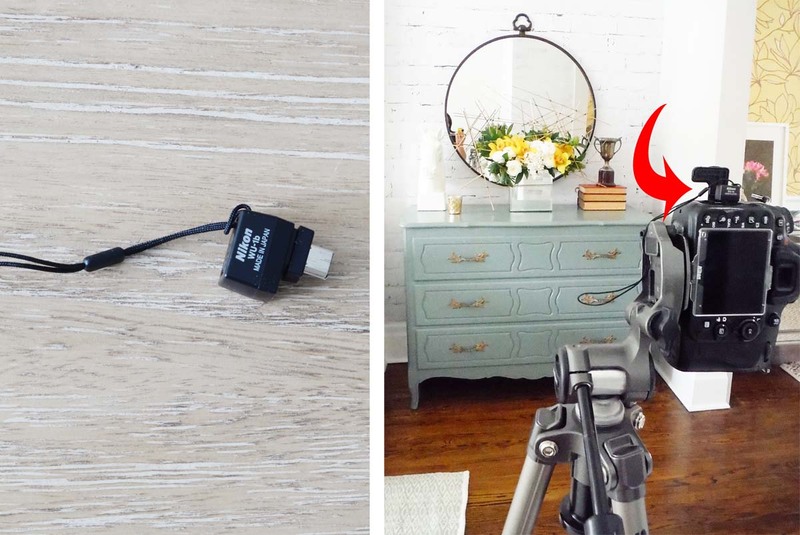 Another option for your DSLR is to buy a Wireless Mobile Adapter. Most adapters I have seen are for Nikon cameras. I have a Nikon D610 and received a WU-1b Wireless Mobile Adaptor for Christmas. This little gadget pops into the mini-USB port on my camera and connects to my smartphone via my phone's mobile settings. Once I connect to the camera's WiFi network, I log into Nikon's Wireless Mobile Adapter Utility app. Then I'm able to access the photos stored on my camera's memory card and upload those to social media. The other very exciting feature of this adapter is its ability to use my smartphone to "control" my camera. I'm able to see on screen what my camera sees. I'm able to tap on screen to focus the photo and I'm able to tap to release the shutter and take the photo. In essence, my smartphone acts as a remote viewfinder which is especially handy if I want to be in the photo. For instance, say I'm at a family picnic and have my tripod set up to take a group photo. I can put myself in position with the group, take a quick glimpse at my phone to make sure we're all in focus and in the camera range, and then tap my phone to take the photo. Regularly taking selfies or fashion photos on your own? A wireless mobile adapter might be your new best friend. 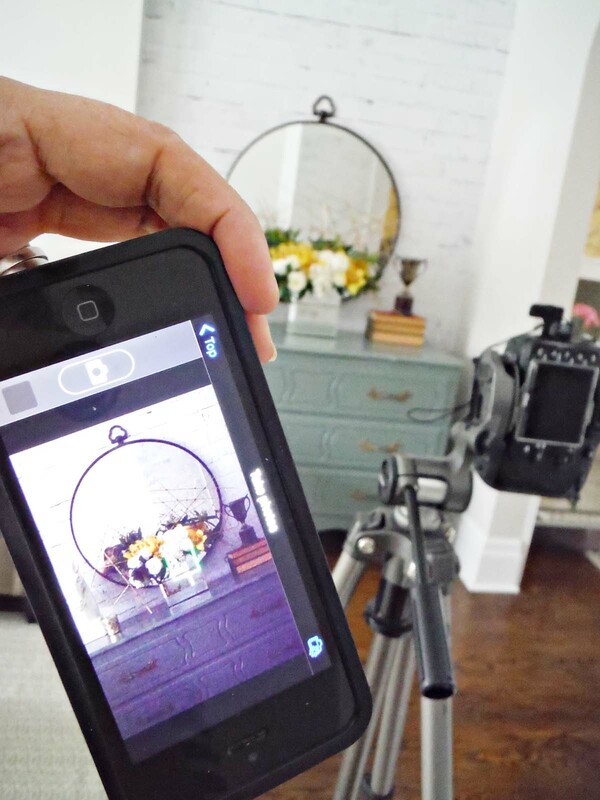 If you're in the market for a new camera, you might consider getting one that is WiFi enabled. 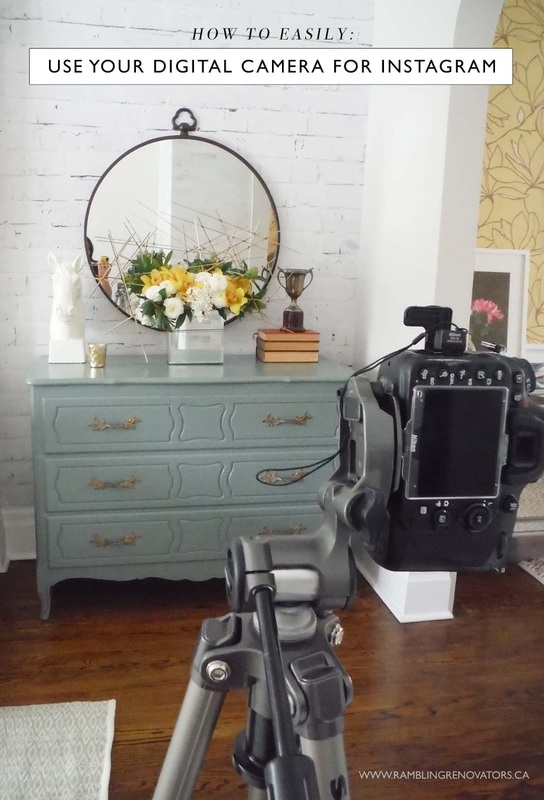 These types of cameras allow you to transfer photos wirelessly from your camera to a website, to your computer, or to a tablet. There is no downloading from a memory card or connecting with a cable required. It's ready, shoot, upload! Personally, I've reduced my use of my DSLR over the years but it was such an investment, that's its a shame to have that camera sitting in a drawer. With all these options, it's become a little less daunting to lug out the old DSLR and take AND share that awesome photo.